A trailer for SHE-RA AND THE PRINCESSES OF POWER dropped just yesterday. Take a gander! Just look at that pretty soldier transformation! It’s so great that the geeks of the 80s and 90s are making shows today, sharing their influences! This SHE-RA isn’t going to be just like the old 80s version, though. They’re updating the heck out of it. 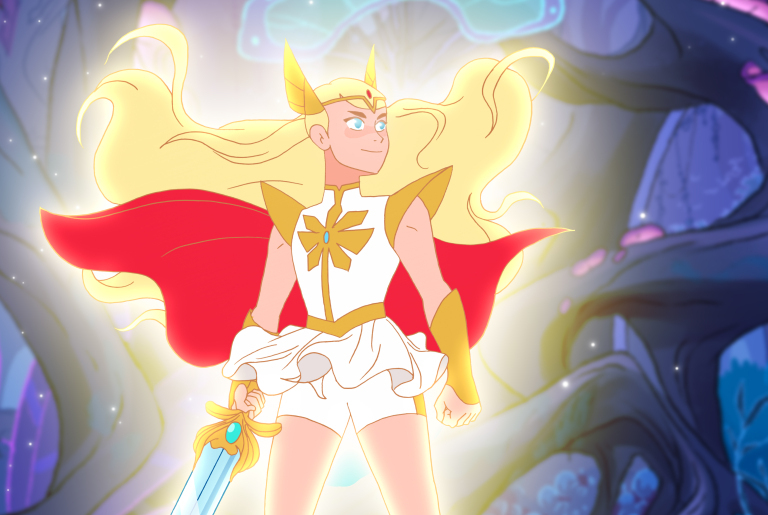 A lot of people are mega-mad that SHE-RA has is wearing skorts and looks “masculine”. They are going to have to get over it, because she looks 13 in this version. They also seem to have de-aged the whole rest of the cast. I guess the point of that is so young girls can celebrate the body they have now instead of wishing and dreaming of looking like a super voluptuous woman in the future. Saving them from the disappointment of genetics? I’m not entirely a huge fan of the art design they chose, but maybe it’ll grow on me. I’ll find out when I give it a watch. Keep an eye out for SHE-RA AND THE PRINCESSES OF POWER on Netflix November 16th!